International Seon Center The International Seon Center is a modern style of Buddhist Temple in Seoul city as well as Seon (Zen) meditation and Buddhist propagation training center. 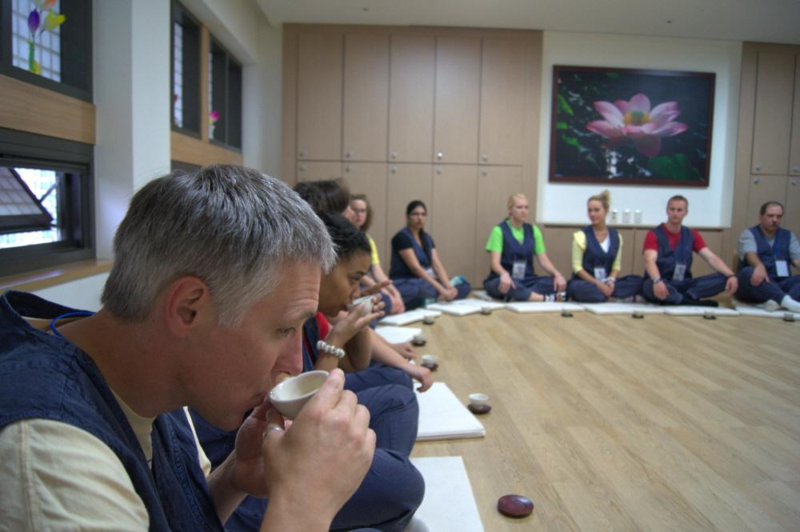 The center operate a residential temple stay and daily templestay program to offer direct experience of Korean Buddhist culture for both Koreans and international visitors. The overall aim of the center is to promote awareness of the inherent value of Korean Buddhism and its practices to the global community. 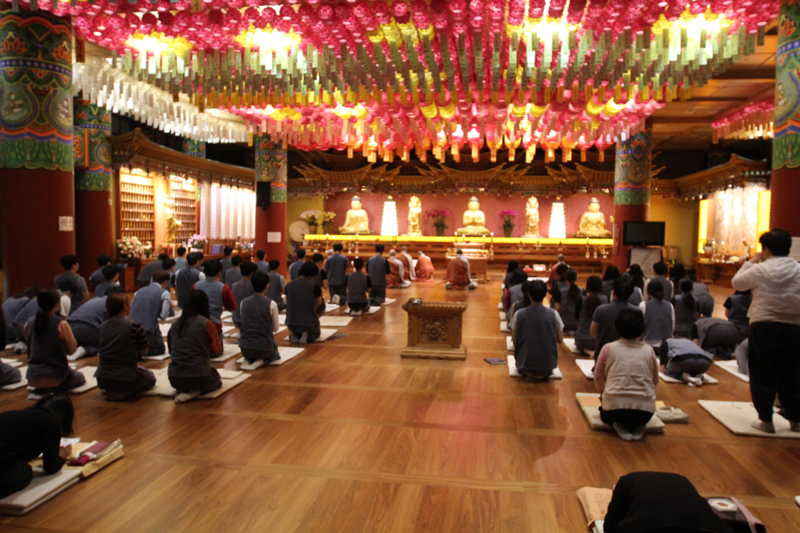 The center contains a templestay facility, a large prayer hall, and a culture and education center, and provides temple-stay programs, Seon lectures, tea ceremonies, and many other programs and activities which aim to provide a living experience of traditional Korean Buddhist culture. To cater for the needs of international visitors, Korean to English interpretation is provided throughout many of the centers activities. 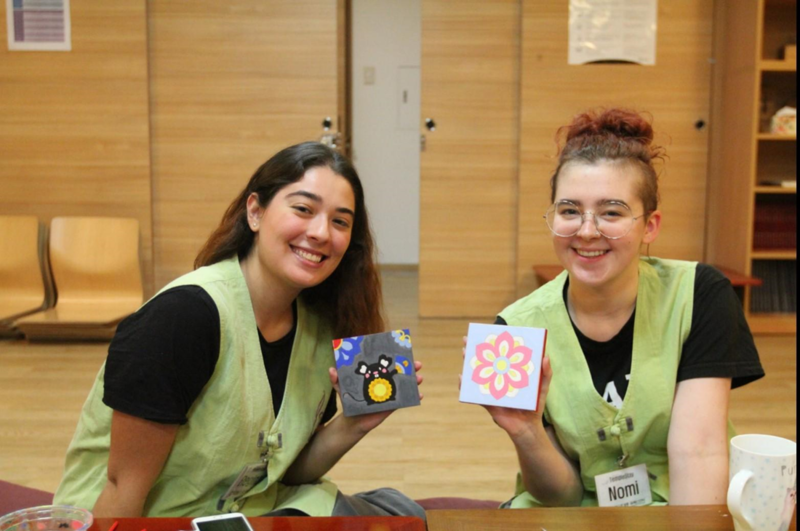 The center is continuously developing a residential temple stay and daily templestay program to offer direct experience of Korean Buddhist culture for both Koreans and international visitors. In order to further promote the practice of Seon meditation throughout the world, the center holds academic seminars, exchanges ideas with different religions, facilitates international study exchanges, and regularly holds forums on Buddhist studies. Open to all(up to teens) who have interest in Meditation but do not know how to start the practice, need detail and right directions as beginners, or want to practice more deeply. You can freely enjoy the rest and relax yourself near your place. 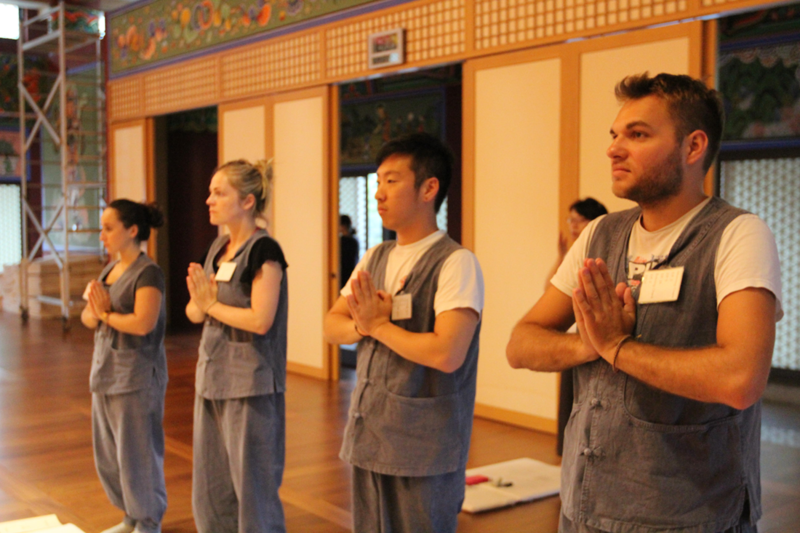 experience Korean Buddhist culture and Traditional culture. 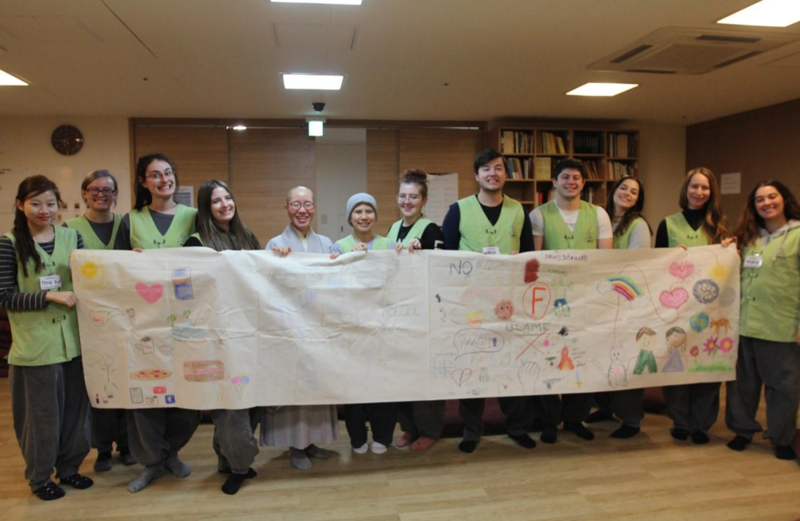 Aside from Templestays, the Seon Center also offers Saturday meditation classes year-round with the purpose of helping individuals find peace within the hectic modern world. The program is conducted entirely in English and is open to beginners and advanced students alike. We don't have program to reservation.